India's latest communication satellite, G-SAT 12, will be launched today from the Satish Dhawan Space Centre (SHAR) in Sriharikota in Andhra Pradesh on 15 July 2011. The satellite will be launched using the Polar Satellite Launch Vehicle (PSLV) with the lift-off window scheduled between 4:48 pm and 5:08 pm. K Radhakrishnan, chairman of the Indian Space Research Organisation (ISRO) said "the countdown has already started and we expect the rocket to lift off at 4.48 pm." 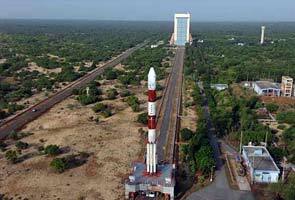 For the present mission, PSLV-XL, a more powerful version of the rocket, would be used for the launch. GSAT-12, weighing 1,410 kg and equipped with 12 Extended-C band transponders, will augment communication capabilities in telemedicine, tele-education and telephone and other services. In PSLV-XL version, six extended solid strap-on motors carrying 12 tonnes of solid propellant in total are being used as against nine tonnes in a standard PSLV variant, Mr Radhakrishnan said. The cost of the rocket is Rs. 90 crore while the satellite, GSAT-12, costs Rs. 80 crore but both are not insured. This is the second time such a powerful configuration had been deployed, after it was used to put Chandrayaan-I into orbit in 2008. For the PSLV, this will be the 19th mission with the last 17 flights proving successful. This is the second PSLV launch this year after the PSLV-C16 in April when the rocket lofted Resourcesat-2 and two other micro satellites into orbit. Two more launches of the PSLV are expected later this year. The ISRO was forced to use the PSLV as its other launch system, the Geosynchronous Satellite Launch Vehicle (GSLV), is out of commission due to repeated failures.